There's no denying Lionel Messi's individual and historical brilliance, but the one blemish on his resume serves as motivation to continue an international career filled with heartache and disappointment. Every now and again, even within the constant slew of excellence, Lionel Messi does something that takes the breath away. It’s easy to be blinded by his brilliance, to be lulled by his consistency into thinking this is somehow normal when it absolutely is not, but his third goal against Real Betis at the weekend was one that even by his standards stood out, floated gently over the goalkeeper. It completed his 51st career hat trick, but that is less significant than what followed, the Betis fans passing from silent awe to polite applause to rapturously singing his name. He is a privilege to watch. Messi has made numbers almost meaningless. Scoring 602 goals in 706 games for Barcelona is outrageous. This season, almost certainly, he will win his 10th La Liga title. He may also add a seventh Copa del Rey and a fifth Champions League. And yet behind all the success, behind the seemingly effortless mastery, there lurks a shadow. Other than Olympic gold in 2008, Messi has won nothing with Argentina. He’s lost in a World Cup final and two Copa America finals (and been significantly below his best in all three, missing a penalty in the shootout in 2016). 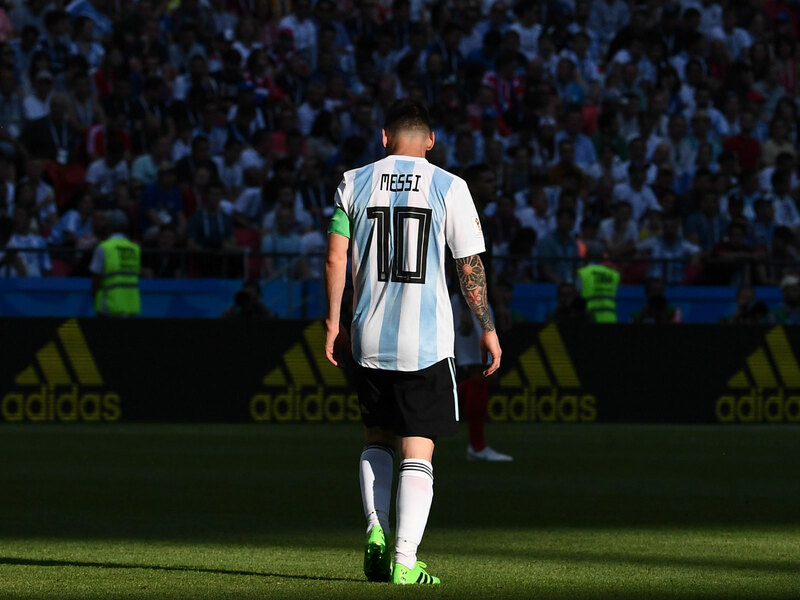 The burden of being the great hope of Argentina, a country that hasn’t won a senior international trophy since 1993, hangs heavy on him. The accusation for a long time was that he didn’t really care about a country he left when he was 11, but that was always absurd. Messi speaks still with an Argentinian accent. His favorite food, films and music are all Argentinian. And the look on his face as he reluctantly accepted the Golden Ball after losing in the 2014 World Cup final should have ended that jibe for good. He cares and cares deeply, perhaps too deeply. There came a mini-hiatus, his second, after Argentina’s shambolic 4-3 defeat to France in the last 16 of the World Cup. For 260 days, Messi didn’t pull on an Argentina shirt. Then this week, he is back for the friendly against Venezuela in Madrid on Friday. It’s not even clear whether he will travel with the squad to face Morocco in Tangier next week. 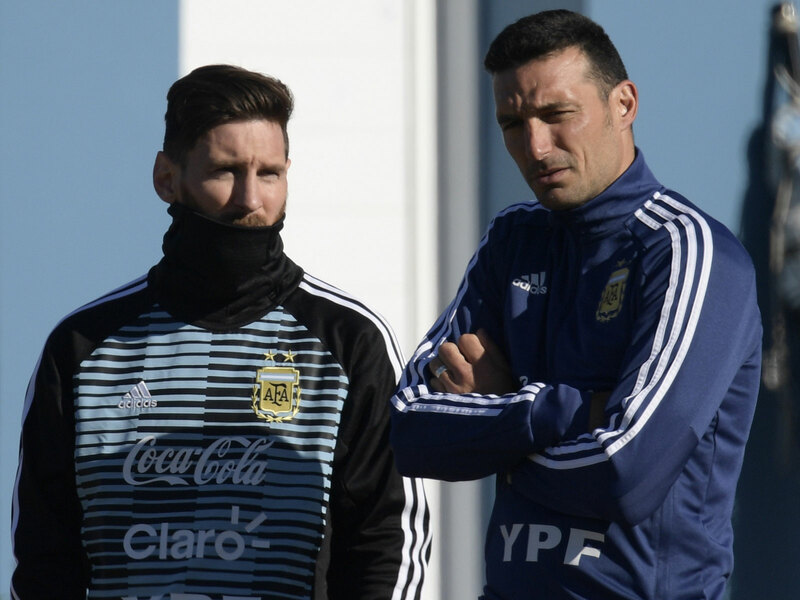 Messi hasn’t spoken about the national side since the nerve-shredding win over Nigeria that took Argentina through the group stage, missing the six friendlies it has played under Lionel Scaloni, who was a teammate of Messi’s at the 2006 World Cup. He is now not just the best and most feted player but the oldest outfield player, Only goalkeeper Franco Armani is older than his age of 31. That changes the dynamic. There has been an acceptance that the generation based around the Olympic champions has reached the end of the line. There are 11 players in this squad with whom Messi has never played before. On the face of it, they don’t have the obvious talent of their predecessors–but that may not be a bad thing. One issue that has perpetually held Argentina back has been the glut of creative talent that has often led to unbalanced sides or to players being discarded if they were not instantly successful. Scaloni feels like an accidental coach. He was an assistant to Jorge Sampaoli at the World Cup and was initially installed on a caretaker basis before being confirmed as coach until this summer, when Messi will have another chance to end the trophy drought at the Copa America in Brazil. There will be another opportunity next year at yet another additional Copa America, this one co-hosted by Colombia and Argentina. Messi has in the past expressed frustration at the machinations of CONMEBOL, but the confederation is giving him every opportunity to win something with the national side. This is a new phase of Messi’s career, one during which he will feel time’s breath constantly upon his neck. He may not even play at the next World Cup, but, if he does, it will surely be his last. And that gives each new toss of the tactical dice added weight. It appears on Friday he will play with Giovani Lo Celso behind him, something that worked in the 4-0 win over Haiti before the World Cup but was then abandoned by Sampaoli in Russia. Instead of the usual Gonzalo Higuain or Sergio Aguero debate, it seems Lauturo Martinez will start at center forward. It seems unlikely that is how Argentina would line up against Colombia in its opening Copa America fixture in three months, but what is most important for now is that Messi is back, and that the need to win something with the national team still motivates him.